Security is full of assumptions. Organizations think they’re covered, that their networks are safe, systems are updated and that their critical data is protected. In actuality, assumptions are dangerous, taking administrators off their guard while making users complacent. You could even say that assumptions are sinful, causing actions and reactions that put organizations, data and users at risk. 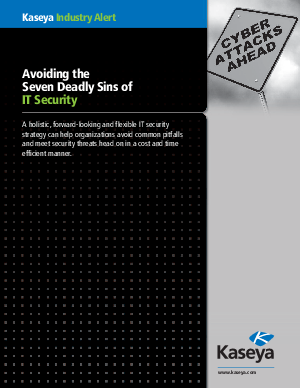 We asked Scott Crawford, managing research director for analyst firm Enterprise Management Associates (EMA), to identify the Seven Deadly Sins of IT security and how organizations can avoid these pitfalls.